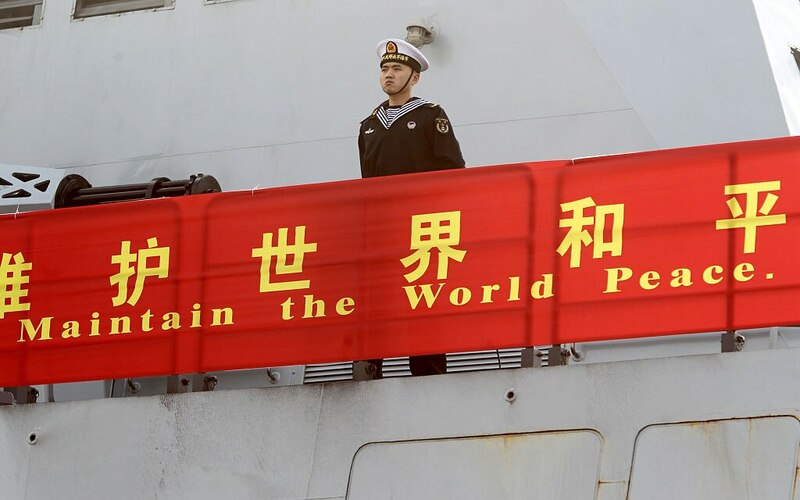 TEHRAN, Iran — Iran's navy has conducted a joint exercise with a Chinese fleet near the strategic Strait of Hormuz in the Persian Gulf. The official IRNA news agency said Sunday's drill included an Iranian warship as well as two Chinese warships, a logistics ship and a Chinese helicopter that arrived in Iran's port of Bandar Abbas last week. * * * The U.S. Navy held a joint drill with Qatar in the Persian Gulf on Saturday.